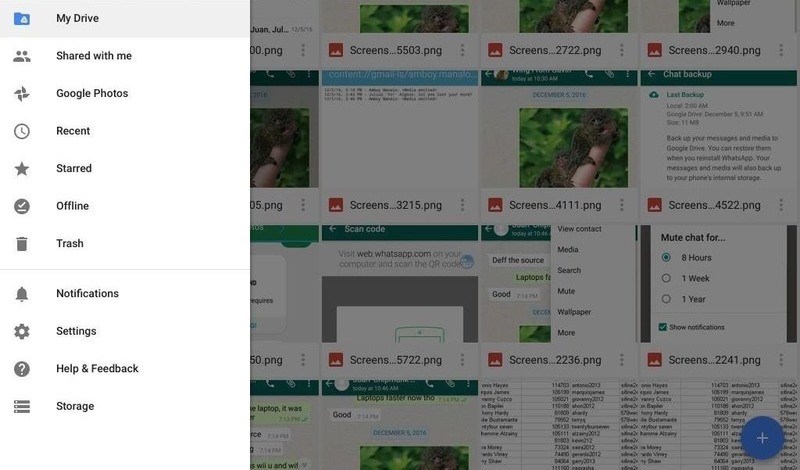 Google Drive has a very simple way to switch from iOS to Android. iPhone users who want to take the plunge into the wonderful world of Android, but were hesitant to do so in the past because of the laborious process of backing up their data, can back up their contacts, photos, videos, and calendars with the tap of a button. Here's a quick guide using an iPad mini an example to show you how it's done. Install Google Drive on your iOS device if you haven't done so already. Once signed in, tap on the three-lined menu button in the upper-left corner. Select Settings from the side navigation menu. 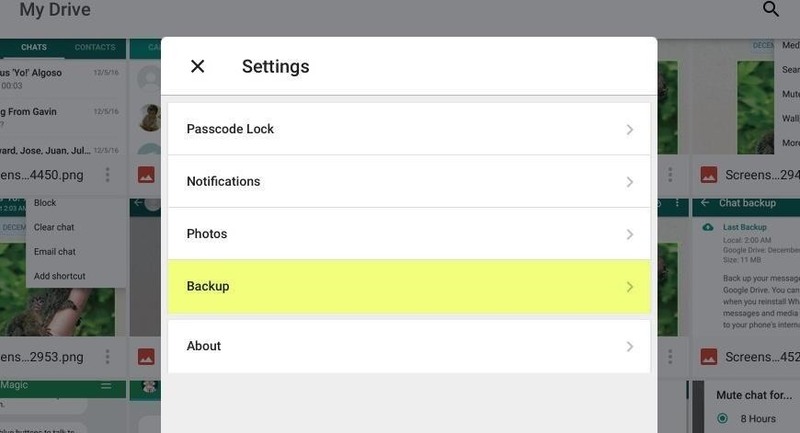 Choose Backup from the main settings page. Tap the items you want to back up, then make sure each item is toggled on. Tap Start Backup once you're set. Sit back and wait. Sync times can vary depending on how much media you have on your device. It's highly recommended that you perform this backup over a stable and private Wi-Fi connection. Exit Drive once the backup is finished. 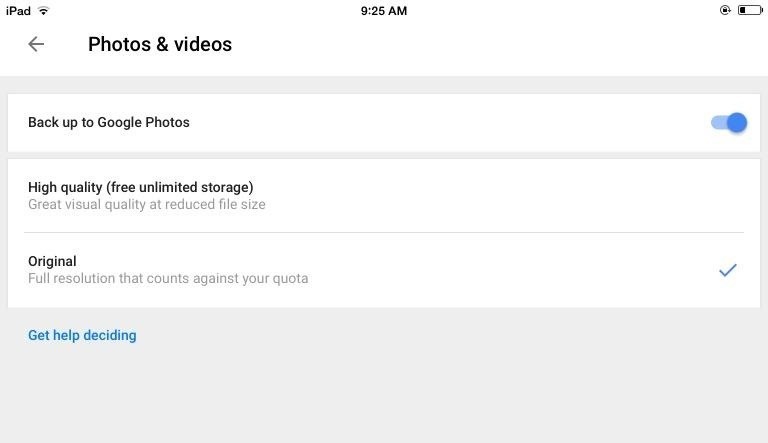 Your calendar, contacts, and photos will now be in Google Drive. 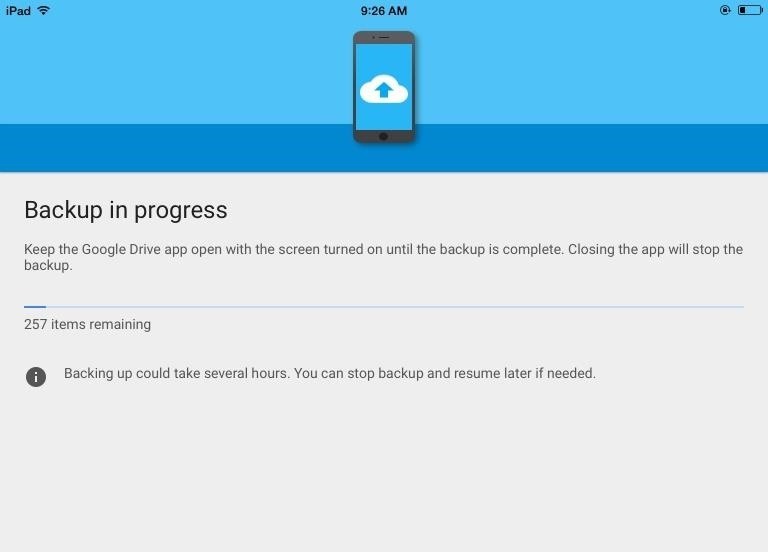 On your new Android device, simply sign in with the same Google account you used to create the backup, and all of your data will automatically be transferred over. Please note this feature doesn't currently sync your messages and music, but if you're going the Pixel route, Google includes a Quick Switch Adapter that can transfer over messages—including iMessages—as well as music. If you're not getting a Pixel, you'll have to sync music manually with Google Play, as well as everything else beside calendar, contacts, and photos. Music and messages could be supported in the future, but even without it for now, Google Drive makes it a whole lot easier to hit the ground running when switching from iOS to Android.